Happy New Year! I hope your Holidays were wonderful! 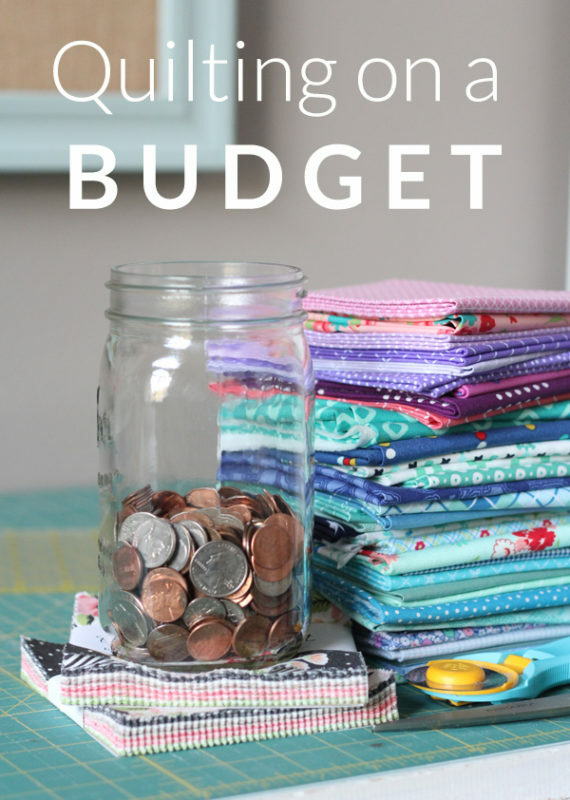 I read somewhere last week that saving money is one of the 3 most popular resolutions people make…and since I’m always trying to save money where I can, I thought I’d jot down some ways I save money while still being able to enjoy quilting. 1. Don’t read blogs or Instagram! I probably shouldn’t tell you this since I’m a blogger…but it’s 100% truth. How many times have you purchased something you saw on a blog or Instagram? Some of my best purchases have come from recommendations I saw on blogs/Instagram….but when I’m trying to save money and not spend (or want), it’s best to take a break from sites that might tempt me. It’s hard but a biggie! Sewing Machine – I have a Juki 2010 I bought last year, a Bernina 440QE I’ve had for 6 years, and a Bernina 1008 I received when I got married. I mostly use the Juki right now but all of them have different purposes. They have each been great, sturdy, machines I would recommend. Fabric scissors, and thread snips (I go through these often so I buy good but inexpensive ones). 3. Use what you’ve got. It’s like the saying “Make do and Mend”, use what you already have and use it up before you buy something new. Fabric: I have a lot of unused fabric sitting on my shelves…and sometimes instead of bringing me joy it brings me guilt! If you know you will regret not buying a new fabric line before it’s gone, then do it…just make a plan to use it before the “next” new fabric line you have to have comes out! ;) Keep and use your scraps! Here and here are great posts about storing and saving scraps. Some of my favorite scrap projects can be found here, here, here, here, here, or here. Bonnie has TONS of great free ideas here. Batting: Save your batting scraps! When my pile of batting scraps gets big, I cut my scraps into a manageable size and straighten the edges, then I sew them together using a zig zag stitch. I sew my scraps together to make the size of a baby-crib quilt, and I use them in my baby quilts. 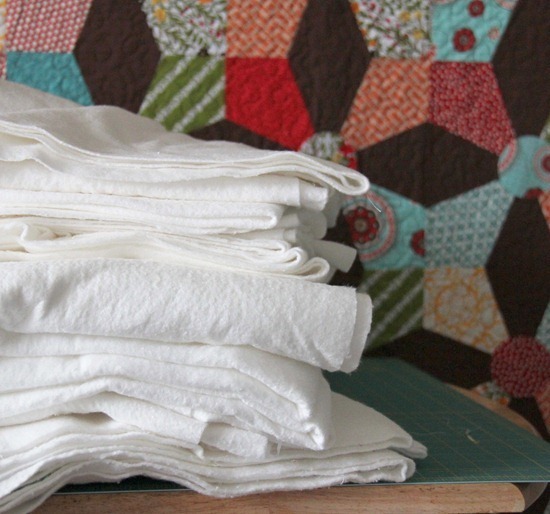 You can save yourself an easy $10 or more by using scrap batting in a baby quilt. I also use my batting scraps to dust…they work so good! I buy my batting on a large roll when it’s 50% and I have coupon for free shipping, so it’s cheaper and lasts me a long time. Split if with a friend if that’s way too much batting for you. 4. Use your fabric money wisely. Buy smaller cuts of fabric. I can’t even tell you how many times I’ve purchased a half yard of a whole bunch of fabrics and used a 6″ strip from each half yard to make a quilt, and the rest of it sat on my shelf forever and ever. When I started quilting I only bought 1/4 yards, because I had a tiny budget, and loved a lot of fabrics. I also shopped in person (before online quilt shops!) so it was easier to buy smaller cuts. 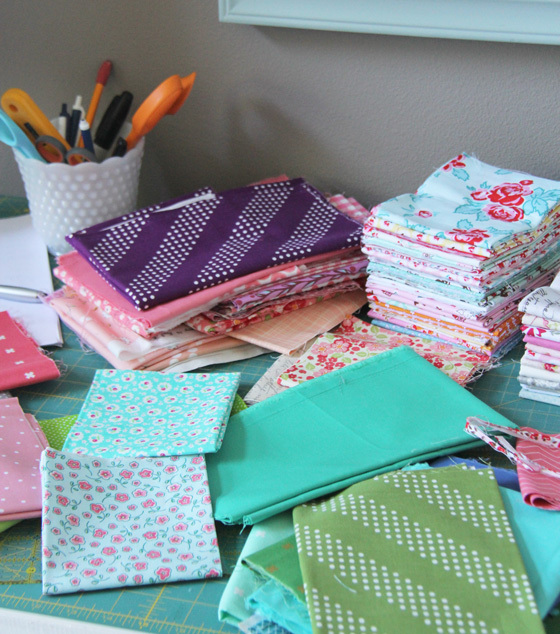 When you can, buy a smaller cut like 1/4 yards, or fat quarters with even more usable space. It’s worth buying quality (quilt shop) fabric…as fabric from chain stores has much lower quality. When you find a sale, buy good quality basics that you can use over and over! Use more solids. I did a post on choosing and using solids here. Don’t waste money on the back. Years ago after I made my first large Twin size quilt, I spent a whopping $68 dollars on the fabric for the backing. Do you know how many times I’ve looked at that backing since then? Twice…maybe? Was it worth $68 dollars? No way. I learned my lesson. Now I use 108″ wide backing yardage, regular yardage on sale, wide minky, or even cotton sheets. I spend more on backings for quilts I know we will use everyday, like quilts for our beds, and the throw on the couch. 5. 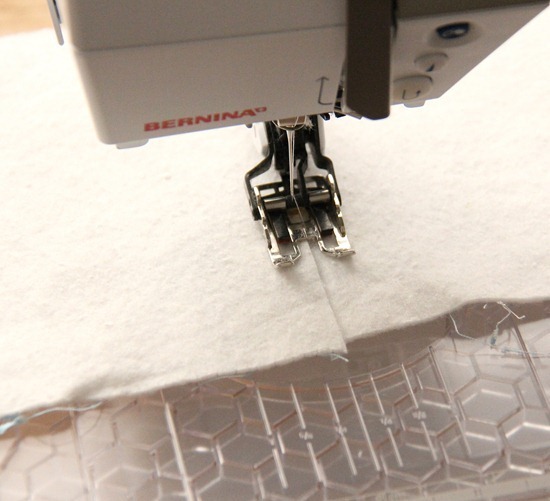 Learn to quilt on your own sewing machine. 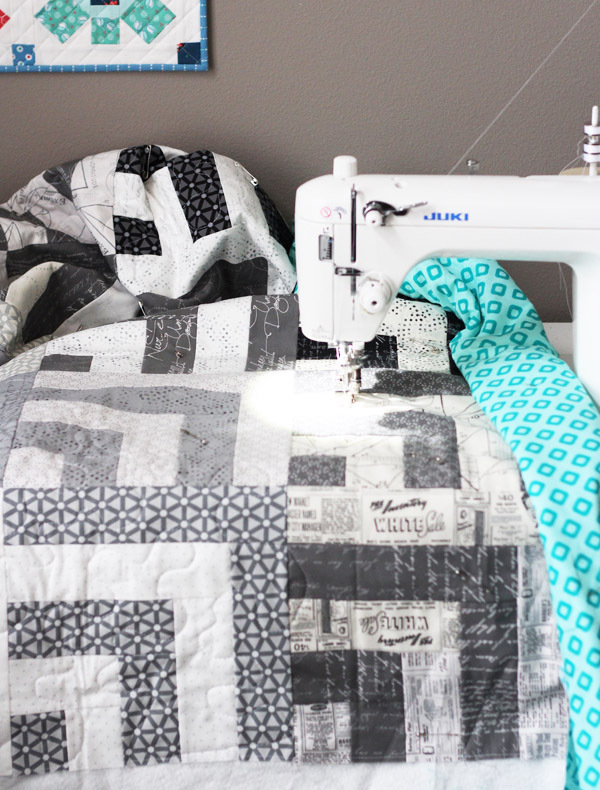 I love love love having quilts quilted on a long arm (I’ve sent mine to Kathy for years, and I’ve also recently sent quilts to Kaitlyn, and Melissa), and having a great long arm quilter is invaluable, but also can get expensive if you make a lot of quilts. I try to quilt everything under a Twin myself. Lately a lot more of mine are long arm quilted because they are for shows or a quilt shop…but when it’s just for us or a gift, I quilt them. I’ll do a post more about this in the future. Leah is a great resource for free motion quilting here, and there is great straight line tips here, and here. I could go on and on and on about ways to save money…but there are a few for extra motivation. Feel free to add anything to the comments that I missed or great fabric resources (or shops that will cut a 1/4 yard). I love your no nonsense quilting ideas. Thank you! Excellent tips!! I love your ideas! I just bought my first BIG roll of batting. It should save me a lot in the long-run. I also buy flat fold fabric at Ben Franklin when it’s on sale. Sometimes there are designer fabrics in their flat folds, but it is just last years design. To me it’s like new! I also finally bought a BIG spool of one color thread for piecing. That will save me a ton! Oh I miss Ben Franklin!!! Thanks for your tips. Another thing I do with scraps is save them for string quilts. I keep a box just for long (4-12″ strips) that are narrow (between 1″ and 2.5″ or 3.”. I also keep another box just for smaller pieces of fabric to cut down into strings. I love making string quilts, so I’m always aware of using some of my fabric that way. Great tips! Before the new year rolled around, I unsubscribed to online quilt shops’ newsletters so I wouldn’t be tempted by great sales! Thes are great tips. I did laugh when you mentioned not buying expensive fabric at $3 per fat quarter, in England fabric is very expensive and the average fat quarter is £3.50 which is equal to about $5 per fat quarter!! New Zealand is also VERY pricey for fabrics, especially good quality quilting. A cheap fat quarter is about NZ$4.99 which is around US$3.65. Most of the nice quilting fabric is upwards of $16-22 a metre (1.09 yard for approx US$12-16 and I’ve seen some at NZ$29/metre). Sometimes it’s cheaper for me to buy online from the States and have it shipped! OH man fabric is SO expensive outside of the US! Crazy expensive! In Greece cotton is expensive and there isn’t a lot of it around. So I buy cotton dresses and shirts in second hand shops. very cheap! Have to adapt my colour schemes to the fabric I find, though. But that is a sport! I love this Ada! Making do with what you can find…such great advice and inspirational!! In Finland in my only local (40 km away) quilt store quality cottons like Robert Kauffman costs $4.45 per fat quarter. Except that they sell only in half yards. And they have very, very limited selection. So I buy quilting fabrics from sales of online shops in US. At least I can buy exactly what I want even though with postage fees and taxes I’m not always saving all that much. Thank you for a great article. It is the time of year I like to rethink where I am with fabric stash and notions. I have needed more variety in my stash of fabrics but due to the fact I usually buy 2 yds at a time, it gets expensive. Then I end up only needing a small amount of it. I’m changing to 1/2 yd cuts. Two things I will run out of during the year, white or neutral thread and rotary cutter blades. Those and 1/2 yd fabrics are on my new shopping list. I wish you had been blogging when I was starting twenty years ago! Too funny about not reading blogs. I do get so many creative ideas from blogs. Someone commented above to stop getting emails from quilt shops– great idea. I’ve had to destash a couple of times and had a quilter’s garage sale– so successful. I bundled up fat quarters and scraps to make 2 yard bundles and sold them for $5 and priced yardage similarly. Put in UFO’s that I didn’t want to finish. Sure I lost money, but getting rid of all that fabric I wouldn’t use made me feel better. All the leftovers got donated to my quilt group or charity. Happy New Year! I LOVE your patterns! Ha ha maybe I’m the only one who impulse buys while I read blogs and Instagram…or maybe I just read too many blogs with too cute of things LOL! Great ideas! I forgot to say in my comment above that a really good place to find cheap cotton is in second hand clothing stores or places like Goodwill. Men’s shirts go on sale for $1-2 at times (like Memorial Day sales, etc) and you can get some lovely fabric from them. Think of a color scheme and build up a pile for a quilt. I have a pile of blue and white plaids, checks and stripes. Thanks! I agree with everything you say. Do you realize some quilters pay FULL PRICE for fabric? Unfortunately when I make a special quilt for someone, like a customer or a baby quilt, I do spend full price for specialty fabric. They ask for a particular theme. I recently finished an elephant-themed baby quilt and will work on a horse-themed baby quilt. So I had to find those novelty fabrics and paid $10 a yard. Yikes! I also pay full price most of the time for fabric….but for those quilts I’ll add in a lot of basics and solids that were better priced, it makes the total cost of making a quilt go way down! But yes…sometimes you just have to pay what you have to pay! I use a coupon and shop a chain store (JoAnn’s) for better-quality fabric to use as a backing. I have so many quilts that only a few get used often, and I still don’t see any wear on the backs. I used to get excited to buy the latest Moda bundles; but I find that after a few years they don’t excite me as much. So why go to that expense?! Thanks for your tips. I totally agree…I have so many bundles that I just don’t know what to do with anymore! I donated a lot last year to a local guild, but I still have some I need to use! I love JoAnn’s for backings! Great tips. I just lost my only local quilt store, so for now, I have to buy on line if I need something. I try to be very careful about how much I spend. I kind of like the challenge of sewing from my stash. It’s a lot harder when you can’t just buy some color or another. You really stretch your creativity. I have spent the last year cleaning up my scraps into usable sizes and tossing the tiny useless bits. It is very freeing and it shows me how much scrap fabric I have. Scrap quilt is on the list for this year. Thank you, Allison, for those money-saving tips. I retired 6 months ago and have tried to rein in my quilting spending. But long-time habits die hard! I am stuck in the position of having MORE time to sew and quilt now, but having LESS money to spend on fabrics and supplies. However, I will certainly save this email and refer to it over and over again. I love to shop yard or estate sales. Cotton fabric is often sold for $1/yd or less. Notions such as zippers, rulers, bias tape, etc, are often sold for pennies. Love me a good yard sale. I’ve just become an even bigger fan of yours just for this honest and up-front article. So true. If I had started quilting in the early part of my life, I don’t think I would have been able to afford it! I found quilting several years ago when I early retired after our last child graduated from college. When I sat down a few months ago and tallied my sewing room, I seriously considered calling our insurance agent and upping our homeowner’s policy! It’s amazing how fast it all adds up. I am steering several new Sewist I know to your blog today. It has some very sage advise for the beginner quilter. You give the best advice, and all the comments are great, too. This year I fully intend to get more of my unfinished projects moved over into the “done” pile, realizing I have more fabric than I can probably get used in what remains of my sewing life. Your advice about the Juki 2010 is a large part of why I bought mine, and I love it! Could you advise on what kind of needles you like to use and where best to buy? Love your blog, and if I have to reduce, yours will not be among the ones to go! Hi Nancy! Thanks for keeping my blog around! ;) I still have a pack that came with my machine, and I usually use the regular universal Schmetz needles you can buy anywhere. I’ve never noticed a difference between the expensive ones or not…and I change mine pretty frequently since I sew so much. I use an 80/20 (I think that’s it?) needle all of the time, and a 90/10 when I’m quilting. Thanks so much, Allison…I’ve been using my Juki almost every day and so I also change needles frequently. It’s easy to keep reading a blog that has such great content! Good post and one that was needed. Sometimes I feel this hobby has the theme of buy, buy, buy. Yes, it is fun to have the new tool, pattern or fabric line but owning shelves of fabric just leads to guilt and ownership of UFOs. You are a wise lady!!! When I saw your post title my first thought was use more solids. Here are two other ideas…buy Kona white or snow by the bolt with a coupon or sale if you use it all the time. And stay out of fabric shops, online or in person! This might go against your first idea and also you sell patterns but if you have a slew of patterns you don’t use, why not try to stick with free quilt alongs for a while. Lots of times the patterns are free and many are really good! Happy new year, Allison! Great ideas! I have two bolts of Moda White fabric I use all the time and it lasts me a long time…I buy it wholesale when I can or with a good coupon like you said. Saves a lot! I bought a bolt of cream fabric. Also have some Dynaflow paints. I paint small pcs of fabricdifferent colors as needed. Don’t always get shade you where trying for, but that’s part of the fun of it. Thanks for such good ideas. Sewing & quilting used to be skills needed in order for families to save money. Now they have become art forms. But I think we should remember the history of these hobbies and not go overboard spending lots of money on every tool and product out there. Great tips. I have sent a link to your blog to several friends this morning! I may stop reading blogs…but not YOURS. I look forward to your blog and you never disappoint. I’ve been following you forever…before you had kids even..and before I had 8 grandkids! PS The cream stick place is closed for the holidays. Saving money there too…:) You are spot on with your advice! I read every comment posted! A couple of months ago a “new tool” came out for holding Quilt bindings as you put it on the quilt. A spoolie type of thing and they wanted $30 for it!!!! It actually made me angry. A empty toilet paper roll and a clip did just as well! But they where pushing it as the next great thing! I buy decent quality sheets on sale for backing and always have. I shop thrift stores and yard sales for yardage and good condition clothes for quilting (and my closet) I have a huge stash of fabric thanks to my Mom and Mother in Law. I will pay the price occasionally for what I think of as an inspiration piece of fabric. 2 yards usually and take it home and build from the stash. I have an Elna. and a Juki and consider them investments and they have never done me wrong. And at a 100 mile round trip and a base price of $100 per visit to the shop I work to keep them clean and oiled and timed on my own..
You’re so right…a good machine is an investment but SO SO SO worth it! I had to laugh about the new expensive tool you can’t possibly live without. You know those handles with suction cups that you put on your ruler to make it easier on your wrists? You can purchase the exact same thing at Harbor Freight tools for around $8, but in a different (better) color. It’s used to help people get in and out of bathtubs and such. Also, I have never seen the need for binding clips. Seriously, people rave about those things and I am just happily folding the binding over as I go. It is hard not to buy that new fabric from your favorite designers! I have to constantly remind myself that next month there will be more new fabric released that I’d love to have. I also struggle with how much to buy, when I’m not buying for a particular project. I like having width of fabric pieces so half yard is my default. I love all my fabric and get such pleasure out of looking at it — it’s my only “vice.” I buy wide backing fabric when it’s on sale. I also make pieced backs to use up my fabric. I buy from local quilt shops (we have a lot in my area) and if they don’t have what I want, then I’ll order online. Thanks for your tips. They’re all good common sense! Thank you for this timely blog post. I love to make quilts but I am on a limited budget. I try to buy fabric on sale. I have a question……whenever I buy fabric at Joann’s the quality isn’t that great. Sometimes their quilt cottons seem so thin. Is it me or do different stores sell different quality. Thank you for your help with this. Yes, even the “premium” quilt fabric at Joann’s and other chain stores isn’t as good quality as what you get in quilt shops. Hi Betsy! Fabric from Joann’s is made at a different mill than fabric you would buy at a quilt shop…so they can keep the price lower. Quilt shop quality fabric is definitely better…and worth paying more for…even though now it seems like Joann’s fabric prices are almost the same, even with a coupon on some of the nicer stuff! I rarely buy fabric there (except for the occasional backing), because I can find sale fabric at a quilt shop or online for the same price or way less! You definitely get what you pay for in fabric! thank you for sharing your tips, I am a seasonal quilter but has many fabrics than I realize . I make a new year resolution, just using whatever i have and make at least 1 project from every craft books I have. Quilting / Sewing magazines can be so tempted too. We are fortunately to have a nearby “junk” store but the lady has a huge selection of discounted fabrics…a little room for each color!!!! Many are well known designer fabrics and all is $4 a yard….Even the biggest quilt is under 20 bucks for the back. Never fail to find something that will like. Awesome post and so timely as the “less is more” and decluttering trend is so popular right now. I wish I had read it when I first started quilting 5 years ago. I realized that if I love a fabric line from a designer, but I have several projects in progress and planned, if I just wait, that same designer will come out with a new line that I will love equally as much! When we moved last year, I gave most of my fabric stash, quilting magazines and books to a new quilter who was on a limited budget. There are so many free resources and tutorials online now. I am much happier without the guilt that the excess used to bring and the sense of peace that I have with my uncluttered, simplified sewing space. There is always such cute fabric coming out I agree…sometimes it’s best to wait! I love shopping at thrift stores. Have found many pieces of vintage cotton fabrics for next to nothing. I also stand and look down the row of shirts hanging to see if there is anything that strikes me. Have been known to cut up shirts (and jeans!) to make fabric for my stash. I also am on the lookout all the time for the old chenille bedspreads. I love cutting them up and mixing squares with satins and minky and other touchy feely fabrics for baby quilts or someone with dementia/Alzheimer’s. excellent. Is that the Juki 2010Q? My workshop is a mess (haha work shop) anyway, it is like an explosion. My mom had a stroke 4 years ago, and my cleaning and organizing skills suffered. I was taking care of her and dad almost every single day. Now I am taking care of my dad. My mom went to Heaven and she is safe since October. I still have to get back into so many things unfinished. I just adore all of you quilt bloggers. I hope that all of you know how much you are truly appreciated. This is the sweetest comment and I’m so sorry about your Mother! I agree organization is the first step…it’s easier to use it and be inspired if you can see what you have! That is a Juki 2010Q, and I love it. The only difference between it and the cheaper 2000Q is the 2010 has a speed control…and unless you have a child you sew with (like I do) you might never use it so buy the cheaper one! It’s been a great machine. This is a fabulous blog post! Extremely helpful, thank you! Awesome tips, Allison! And just in time, especially #1 because that’s me to a T. I still haven’t figured out my style or what I like best because I like so much of what is out there! I don’t think I’ve even figured out my style or what I like yet!!! ;) I like a little of EVERYTHING! I do all of these except for #1! :) Starlit Quilts on Etsy does 1/4 cuts, I love her shop! I’m definitely checking her shop out….thanks for the tip!!! Great tips! Stash Fabrics and Connecting Threads both sell quarter yards AND have great clearance sections. I’ve also noticed that etsy shops will sell smaller FQ bundles of lines I like, so I don’t have to buy the 42-FQ-mega-stack for a gajillion dollars, I can just get 8 pieces to get me going on a project, and I fill in from my stash. Win win! Thank you, thank you for your simple but powerful insights. Even those of us who have been quilting a while, and have tons of stash must be reminded – Less is MORE. Especially love the tip of adding solids. 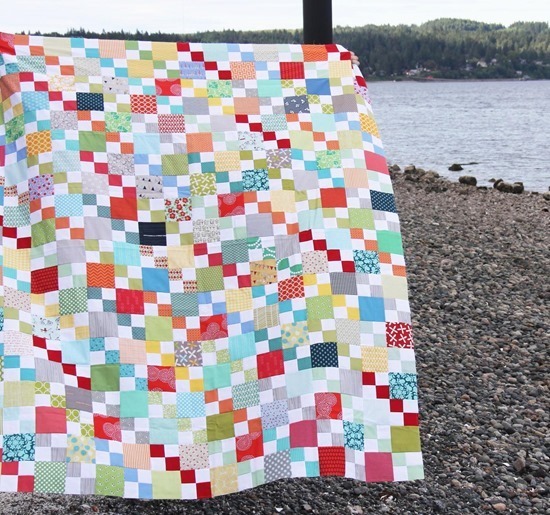 I look forward to reading your blog, something I won’t give up, for inspiration, and staying connected to other quilters. Have a GREAT 2017! Thank you, thank you!!! My best money saving tip is to make friends with someone who sews clothes but doesn’t make quilts. They are always happy to give away scraps. Also I piece my backs, great way to use up pieces that are not my favorite or that tfabrics that were a great deal. Also I never say no when someone offers me fabric. :) Even if I can’t use it, I can pass it along to others. Thanks for this post, it actually relieved much unwanted stress!:). Love ur blog! Loved your post today! Thank you for all the great tips and links to scrappy quilts. Great advice! But buying everything on sale? That also doesnt work for me, because sometimes I need only one corordinating fabric or im out of sashing ( i prefere to buy always the same white sashing fabric from kona- that saves also, because you can use up all the left overs with another project) – to wait until its on sale would mean to wait until Christmas or so…. And to get free shipping in Grmany means you buy items for 60$ (only at big sellers) to 100$. Shipping is expensive too (around8-12$) and yes i would get an 0.5m fabric instead – but kepping my budget seems easier to me with buying only the fabrics I need or want…. I try to only buy fabric when it is on deep clearance and free shipping. Just setting some perimeters keeps my stash from overflowing and credit card balance low. Like Judy Smith just above, that is how I acquire top-of-the-line designer fabric, deep clearance and free shipping. For example, I just got a huge coordinated FQ bundle for $45 instead of $110; it’s from Spring 2015 quilt market offerings, very modern, and not yet ‘out of style’. Another trick is to by clearance kits; they are usually less/yard than other clearance; I seldom make the pattern the fabric was kitted for. I’m sorry for the bricks & mortar, family-owned stores, but I simply cannot and will not pay those prices. You can definitely find some good deals if you are willing to use slightly older still in style fabric! My local quilt shop has amazing sales and reasonable pricing…so I got lucky there! I do like to support my LQS by buying from them, often at full price. However, as of last year I have a fabric-in fabric-out spreadsheet that I keep track of by the month. My goal was a zero net increase for the year. I made it, but only just! This spreadsheet sometimes gives me pause before purchasing. I have to really want it to make it spreadsheet worthy! GREAT idea Cheryl!!! Love the spreadsheet idea!!! Oh wow how did I not know about a Kwik Klip before – that is genius! I have intentions towards buying a big roll of batting at some point but first I need a bit of space in which to store it – and possibly to make quilts a bit faster!! Jodie at Fort Worth Fabric Studio will cut 1/8 yard cuts!! Her customer service is also fantastic. Lol at some of your comments. I live in New Zealand and unfortunately most fabric is $28-$30 a metre (which is just a tiny bit bigger than a yard) and $7-8 a fat quarter. Always a balance between working to pay for the fabric and having enough time to sew. Anybody else find they end up buying more fabric to use up their scraps lol? I agree, Sarah. The price of good quality quilting fabric in NZ is exorbitant. Crikey – where do you shop? Spotlight has much cheaper fat quarters than that! Great post, especially the part about fabric making you feel guilty. I understand that guilt completely. 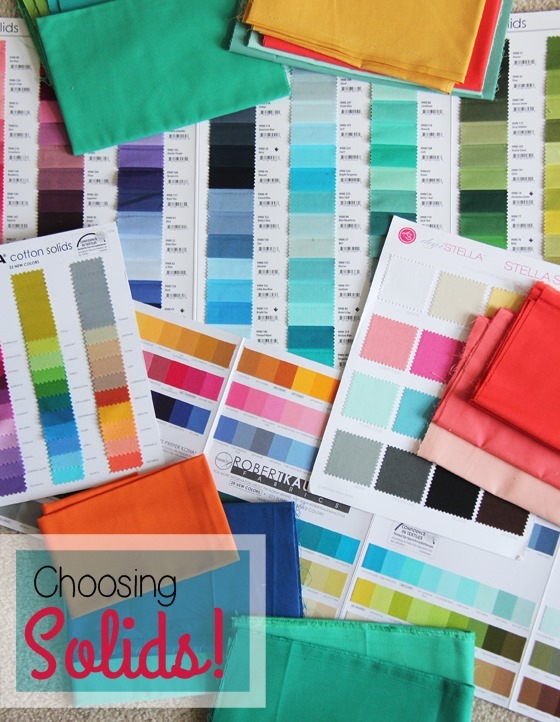 Last year I made the decision to destash some of my favorite fabrics. They were just sitting in a cabinet and not being used. While I was sad to see it leave my collection, it was a relief to not have the pressure to create something from it. Sheets all the way, also using solids is great too. However, I do have to disagree with #1. Instagram and blogs can still be inspiration for what you have or reinvigorate your creative juices. You can practice delayed gratification…if you’re still thinking about the tool or product in 3 days, then research buying it. Great ideas! 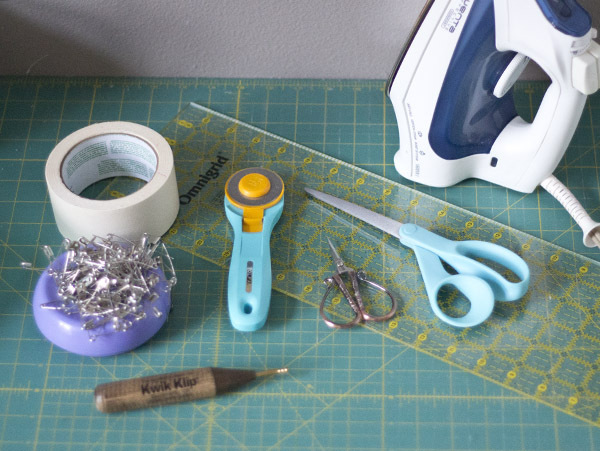 I use simple tools myself, do most things with a 6×24 ruler, rotary cutter, and my big box iron and want to put a shout out for Stitch Stash Diva on Etsy, they start at fat quarters and also do 9″x44″ quarters, 1/3 yard, and go up from there. I get most of my stuff from their sale section and I get my fabric in two days. I also recommend Amazon for buying large rolls of batting, you can put rolls in your wish list and wait for the right price. I use all my scraps for baby quilts and practice sandwiches for fmq. JAF is too far from me and I’ve had bad luck with their quality before. I think I’m weird, I actually find I spend less money online then I do in the store, I look for specific things that I’m after and I don’t browse so very little impulse buying. great post. Especially the first point. I stayed in bed the last 6 days because I had a terrible cold. After the high temperatur phase was over I started so look around all the blogs I read, discovered some new, browsed Pinterest and bloglovin and get in bad mood. All that people that make great things with the fabric I also bought ( during another cold and i had several last year). I really enjoy reading blogs and using pinterest. But their are times when its better to do something different. At the end or the beginning of a new year it can be frustrating. Lots of the blogs showcase all their makes of the last year and set goals for the new year. Sometime I wonder, how these people get enough sleep (but most of them are full-time-makers and bloggers or mommies- im a nearly full working mom). And all the QALs and BOMs start. Its so easy to get the impulse to buy new notions, fabrics and other diy-stuff. Having a break is such a good idea. That saves money (fabric is expensive in germany especially quilting cotton – around 20 to 25$ per meter if its not on Sale- and mostly you have to buy at least 0.5 meters) and makes me happier. THANKS A LOT for this great advice! wishing you a great new year! I hope you have a great New Year too! It is nice to have a break from Social Media every once in awhile…and it’s hard not to compare your progress and what you make to that of others! Fabulous post! I was recently looking at purchasing a FQ bundle of one of my favorite designer’s new collection…until I saw what people were charging. Now, I’m buying 1/2 yd cuts of the prints I know I use in more than one quilt – mostly the smaller prints and blenders – and hitting the sale pages to see if I can find a coordinating print to use for a quilt back. I’m glad you mentioned sheets – I haven’t tried using sheets as backings yet; but would like to. Lots of great tips! Thanks! I use Fabric Shack for my online shopping. They will do whatever size cut you want, and very reasonable shipping. I often get 3/8 cuts. I mostly buy for projects, not for stash building. This is one of the best posts – ever! Thank you for all the great tips. I now have a new New Year’s Resolution list – and it starts with “think simple”. Thank you so much for all your great tips! I recently discovered batting tape, which makes joining batting really quick and easy since I tend to try and avoid it in order to get projects done quickly and end up creating more batting scraps. I forgot about batting tape! I’ve only used it once but it was definitely easier! Thanks for the reminder! Just found your blog. Really appreciate it!! Practical and fun!!! This is a great article! Unfortunately, I’m not very frugal. I love making scrap quilts, but ironically, they’re made of scraps of expensive store bought quilting fabric left over from other projects. That’s a far cry from the original scrap quilts, where women used their old clothing, flour sacks, bed linens, and just anything and everything they could get their hands on. I have a problem in that I keep buying fabric even though I could keep seeing the rest of my life and at least one additional full life and still not use all the fabric I already have! So what’s the point? Well as it has already been said- many truths written here! I over point one because I often tell myself ” I don’t want to be inspired!” I get side tracked by so many pretty things. And yes you can keep it so simple and do just fine! You have given some great tips. I buy fabric at yard sales, Estate Sales, going out of business sales etc. I have a good stash now and have only been quilting for about a year. I save all of my scraps including the bits and bobs that is the tiny pieces and threads also because I am going to try my hand at art quilts and those will come in handy when I do that. Keep up the good work and articles, and again Thanks for the great ideas. Thanks for post. There are some great ideas in these comments! Fabric Bubb will cut 1/4 yards and they have an awesome selection and great customer service!! I love this post! Every now and again I’ll splurge on a fabric (like a minky for the backing) but I tend to be pretty frugal. Love your site, always. Thanks! Minky is worth spending money for…because the quilts with it actually get used in my house! Plus sometimes its wide enough I actually spend less buying it instead of yardage! And don’t forget the clearance sales! For example, when the Christmas fabric is 75% off, you can find some great deals. And quite a bit of thus fabric does not appear too christmassy! You are so right! I splurge on backgrounds–recently bought 5 yards of a cream with tiny rosebuds at 25% off. I will always choose 1/4 yard over a fat quarter. Always ask if there is an end-of-bolt price or even if there is a guild discount. Quilting is not only for the wealthy. Loved your ideas! I like to buy the 108 wide backing fabrics to use as background in quilt tops. I use a 50% off coupon and get 2 yards which turns out to be about 6 yards of 44 inch fabric. Thift store: I’ve bought some great old sheets with cute prints. Just make sure they aren’t too worn or weirdly stained. Eww! ANd shirts, good quality heavy cotton shirts. Even some wool suitpants and such make good fabric for quilting. Those are great tips. One of my biggest backing regrets is the twelve bucks I spent on yardage to back a top I was already unhappy with. As soon as I had the thing quilted I realized that a two dollar thrift shop sheet would have been the better option even if I’d loved the quilt. As for giving up the blogs and other online eye candy, it can work to stick with the quilters you know will show you ways to love the fabric you’ve already got. I know I’m usually safe with those. Great tip about looking at blogs that help be inspired to you use what you have! Love that! Excellent advice! Being relatively new to quilting I have become enamoured of so many beautiful and whimsical fabrics, many from online stores. Luckily I belong to a quilt group and I share my fabrics to make quilts for the annual craft show which generates revenue to support mission and charity quilts. I enjoy sharing my bounty but you are so correct that it’s important to be mindful of budgets and the lure of the beautiful online fabric stores and wonderful blogs. You’re article Quilting on a Budget is both very insightful and delightful. I found several useful nuggets of gold in it along with some in the posts. I especially like the part ab out adding a few solids in each quilt. I’m an older quilter who found Pinterest about a year ago. Now have my quilt room well organized for my scraps, lots of ideas from Pinterest. I use glass jars on a hutch for my scraps. I now cut my scraps to several sizes and store in clear plastic containers. That helper a lot. Then I progressed to late summer as I started a new quilt, I also looked through my pins to find a quilt that I thought would look great with the leftover scraps. Now I have a Board I call Scraps from a Specific Quilt. Therefore I cut for 2 quilts at the same time using the same fabric, maybe an extre few pieces added for the second quilt. I feel it has helped with the scraps and also has saved me some money. I also piece my backing from whatever is leftover, at times adding some from my stash. Pinterest has also been an inspiration for ideas for quilts to make using what I longingly refer to as ” my old stuff”. quilt ideas where I can take my “dreary and uninspiring” fabric and magically turn it into a charming quilt. Ans yes, I made a Board for “Using my Old Fabrics. Late December I went to my favorite program, OneNote and developed a notebook for 2017 to help me prioritize and focus my quilt habits and goals for this yeas. I feel I made steps last year toward some thriftiness with my quilting and will be adding you’re timely tips. I too admire you’re honesty and inspiration. Wonderful article.. When I first started quilting 15 to 20 years ago I would purchase HUGE pieces (8 or more yards!) of fabric for current and future backings…and I still have some of them! Unfortunately my taste in fabric has changed since then, even though they are pretty fabrics. When California recently enacted a “no plastic bag” policy I made several reversible and washable fabric shopping bags for everyone on my Christmas list and for myself (I still have some of that backing fabric left, but at least I made a dent in it!) I have so many other fabrics in my stash and quilts can take a lot of room to store, so for the past 2-3 years I started making 2-sided quilts for myself and family and friends (instead of using a single piece of fabric for backing). I find a 2-sided quilt to be twice as usable while only taking up the storage space of a single quilt. Plus, it’s not really like making 2 quilts…more like 1 1/2! how do you quilt a two-sided quilt? when i make a pieced colour block backing I have a hard time lining it up and sometimes my quilting lines aren’t parallel with the piecing on the back! I tape toothpicks to (the outside of) my ‘backing’ at strategic places, so when I add the top I can feel the toothpicks through all 3 layers and use them to make sure the top and back (or other top…) get lined up correctly. Reference your comment on your three machines, is there one you use primarily for quilting. I need a new one but not sure what to buy. My 30 year old Kenmore having too many issues. My neighbor loves her Janomi which cost $1,000 but she can only do quilt as you go quilting. I want to do my own quilting but not sure if I need a long arm or can find a home machine that will work. The Juki 2010 is the only machine I use right now, for quilting and piecing. I really like it. I had one before this with issues, so buy the extra warranty just in case…but besides that I’ve love it and it’s been a great machine for under 1000. After I read this, I came across a nice king sized flat sheet on clearance at a homegoods store- $10! I snapped it up. Thank you for giving me “permission” to do this! I read this when you first posted it and it’s been in the front of my mind ever since! When I first started quilting, I was all about getting the newest best thing and the cutest fabric and all the things I saw everywhere and let me tell you, it was draining (to my budget as much as my storage space). I recently picked quilting back up as a hobby but it’s been more than anything about using what I have and hopefully blowing through my too-large fabric collection before I even look at anything new. I’m finding it a fun challenge to put fabrics together that I might not have considered pairing up before. I also wanted to say thanks for the tip about saving batting scraps! I’m just finishing my first gigantic quilt and wouldn’t have even thought about saving the pieces I trimmed off the sides. I am disabled and live on a tight budget. If anyone would like to donate their scraps to help a fellow quilter, they would be much appreciated. Email me and I will send my address. Thanks so much. And I’ve really enjoyed reading your blog and learning new tips. In the process of down sizing my sewing room (well, all rooms really, have gone from 2500 sq feet all to myself to only 200 sq feet) and would love to help you out if you’re still interested. I’ll probably be hitting my fabric shelves around about May of this year (2018). I just use the Joanns coupons if you have a Joanns store, or I buy them online when it goes on sale! Marvelous and sensible ideas – thank you! I like to buy good qualiby bleached and/or unbleached muslin when I find it on a good sale. it’s easy to piece if necessary (no pattern matching!) for backings and if you’re using pretty colored threads for quilting you can end up with a reversible quilt that has a lovely stitch pattern on the muslin side – almost like a whole cloth quilt. Plus, a well-chosen pretty binding sets it off beautifully. Muslin can also be used for sashing and borders when you want a neutral off-white or bright white. My hubby goes to Alaska on a fishing excursion ever other year. This costs about $3000. My quilting is just my ‘Alaskan Adventure’! Remember hobbies cost money. Businesses make money. This hobby brings me so much joy. I have met wonderful people and accomplished things I never thought I could. So yes, I will try and be wise with my hobby money. I love supporting Etsy shops that give excellent service. I might buy a new line of fabric–just looking at that beautiful stack of fabric brings me joy. It is an art form–before I even create with it. I love using your patterns. I like how you think! Your patterns are easy to follow and always turn out great. Thank you for your blog. I refer to it often! It’s 2018 and I will buy only minimally this year. I have 22 boxes of beautiful fabric sitting in storage and a $9K credit card! So no more this year! Well, maybe one or two for baby quilts. Some great ideas here! I’ve combed Bonnie’s site for her scrap saver system and scrappy quilts and read her blog on a regular basis, plus some other places for scrappy quilts so I now have a huge file of ideas to use. Before I retired I would think nothing of going to a LQS and shop for an hour spending upwards of $150 each time, sometimes more than once a month. Well, now I have more fabric than I know what to do with and all the time in the world to use it. I’ve made myself a promise to use at least half of this rainbow to make quilts only buying more fabric (on sale) when I feel there is not enough variety in the stash. Backings will be pieced when the patterned yardage is used up. White and off-white yardage to be used for backgrounds that I don’t want scrappy. Thank you for reposting this blog for this year. I have been very bad about impulse buying from things I see on Instagram and Blogs. And I have limited myself to quit shops newsletters. I mainly keep some of those to see what is new. My local quilt shop don’t have what I am looking for so I have to go online. I think you should write a quilter hand book on all the ways to save so we can keep that little booklet handy to stay strong. It is like dieting HA! I appreciate your honestly with this issue because we all know it is hard to stop, but knowing everyone else there has the same problem. When I got buy, I really try to wait until it goes on sale and there are some I just have to have and pay full price. But I think the worst is when it goes on sale, I buy more because it is a good price. I wish you had this blog in a printable PDF so I can keep it handy. We are all right there with you…it’s hard not to buy things especially when we see them on blogs/IG! It takes reminding and practice for sure!! This is the kick in the reality pants that I needed! loving your latest blog entries. Thanks Allison for such an inspiring blog. It’s so easy to accidentally spend too much on fabrics! I laughed at your comment about using what you have before buying any more (my husband says that to be all the time!). I, too, have picked up some awesome bargains in thrift shops. I thought about using sheets for backing, but didn’t know if that was ‘okay’. I will certainly give it a go now! It’s always OK! Just wash it first, and usually I like 100% cotton…but honestly I’ve used all types! I don’t do bigger than a Twin size but that’s personal preference…it could probably go larger. It’s much bigger than my Bernina! I’ve started to do a pieced backing on my quilts! Just use those big pieces of fabric that you have only used part of in the top sew them all together and trim them down to size. It uses up more fabric and looks really pretty! Great idea! I do that sometimes when I’m feeling ambitious too!